In recent years, many athletes have moved abroad in pursuit of their athletic dreams, regardless of age or skill level. BGA has many experiences of not only helping Japanese professional baseball players transition to the Major Leagues, but also assists athletes in a range of sports to reach their athletic dreams. For athletes, moving overseas isn’t simply a “goal” but rather an “opportunity” in guiding their careers to a new stage. This opportunity doesn’t focus solely on one’s successes as an athlete, but encompasses other experiences and lessons that broaden an individuals horizons, making their journey about truly more than sports. In addition to managing athletes directly, we promote and popularize sports on an international level. We recognize the power sports holds and utilize that influence to create relationships between corporations and the sports world. With the Olympics coming to Tokyo in 2020, we’re also planning events to promote the newly added Olympic sports such as skateboarding and surfing. At BGA, the four pillars we focus on are Athlete Representation, Sponsorship Marketing, Event Planning and Study Abroad in establishing a global sports agency. Prior to founding B-Global Agency, Inc. in 2016, Hoshino served as the Vice President of a baseball agency where he, as the certified agent of the MLB Players Association, represented and assisted professional baseball players across the Pacific Ocean to pursue new professional careers. 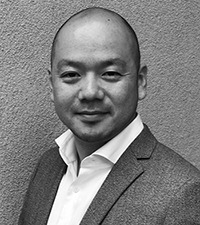 Hoshino holds an M.B.A specializing in sports marketing from the University of Oregon and an undergraduate degree from Waseda University where he played varsity ice hockey. Hoshino was born and raised in Karuizawa, Nagano. 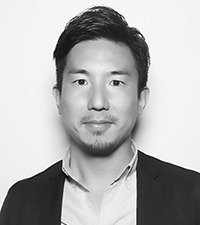 Yamanouchi joined B-Global Agency as a founding member and specializes in sports marketing and corporate sponsorship sales. He worked at one of the top Japanese insurance companies in Japan before coming to the U.S. While he was in graduate school in NYU, he worked at Madison Square Garden. In 2014, he joined a sports agency in LA where he co-represented professional athletes and negotiated sponsorship deals. He currently serves as co-founder and a director at B-Adoptive Foundation.